There is a great difference between articles and monographs presenting the latest thought and results of new experiments on one end of the scientific world, and at the other end popularised science in cheap books and leaflets. A blog offers both the possibility to publish early results of new research or to bring synthesized contributions aiming at a wide public. Legal historians can feel the seduction to look only at the developments which in our eyes brought decisive changes, but discontinuity and continuities are all parts of one world. Faithful readers will no doubt know about my interest in digitized pamphlets. Legal pocket books have appeared here, too. In this post I will look at a genre which in my view stands nicely between both poles of attraction. The German portal Fachtexte offers scientific text books from the Early Modern period which aimed at presenting practical knowledge for several disciplines. The project is an offspring of the Kallimachos portal for digital humanities of the department for German linguistics at the university of Würzburg. Legal works are included in this project. The very word Fachtexte cries out for an English equivalent, yet another reason besides the linguistic approach to look at this initiative from Würzburg. For anyone wondering how I encountered this project I must give you a very simple answer. It is not the first time that I found a notice about an interesting project at the Archivalia blog of Klaus Graf (RWTH, Aachen). On many occasions Graf adds some remarks about a project, often concerning open access, easy or cumbersome navigation and durability of links. Sometimes guest posts appear, too, but the majority of posts stems from this most active archivist. There is a third factor making a tour of the Fachtexte project interesting. On the start screen of the German website you will find at the right a wordle with the disciplines represented in the digital collection. The dimensions of a discipline are equal to its numeric presence. Law and jurisprudence loom large here, but they are accompanied by other disciplines. A second thing to note immediately is that this project does not primarily or only touch technical matters, dictionaries and handbooks. In order to establish a correct English translation of the concept Fachtexte we might as well look at some of the other disciplines. Rhetorik und Formularbücher remind us of the role of rhetorics and formularies in law. With Bergbau und Metallurgie you will encounter mining law. Wirtschaft und Handel, economy and trade are not far away from legal theory and legal business. In the title of this blog I opt for applied sciences as a valid way to render faithfully the scientific discipline behind the texts under discussion. In German and Dutch you have the words Fachliteratur and vakliteratuur, literature for a particular discipline. Only the Dutch German and Lithuanian version of Wikipedia have an entry about this genre. Let’s not wait too longer before proceeding to legal books! You can click on Jurisprudenz in the wordle or choose this subject in a more regular list of the Sachbereiche. In this list of subject fields law and jurisprudence are the fifth discipline with 363 digitized items. Medicine scores almost one thousand items, nearly a quarter of the 4,200 digitized items. Apart from the general search field on top of the screen there is also a search page Werke (works) where you can browse alphabetically or in chronological order for works. On a similar page for authors you can search for them, and search also author biographies. The page Datenbankabfrage (database search) gives you a number of search fields and clickable preset filters. You can perform here quickly searches for digitized items from a particular century, printing location or providing institution. The Bayerische Staatsbibliothek, Munich and the Staats- und Landesbibliothek Dresden provide respectively 883 and 824 items, a third part of all items. The project in Würzburg offers no items from its own university library. Using this search mask you get not only particular results, but also a nice visual representation of related information. For the sixteenth century you will find nearly 1,100 items and for the seventeenth century 2,900 items. I wondered a bit about the presence of medieval items, but the Fachtexte project does indeed also include some digitized manuscripts. In two cases you will be directed to a text-only version of a text in the colorful and multilingual Bibliotheca Augustana of Ulrich Harsch in Augsburg. In other cases the German Wikisource provides online versions of texts. The earliest legal text in the Fachtexte project is perhaps surprisingly the Sachsenspiegel (“Mirror of Saxony”), the thirteenth-century treatise about Saxon law by Eike von Repgow. My surprise is the fact this text certainly contains more a description of law than legislation or doctrine, yet it received the honor of several (!) series of glosses. The Monumenta Germaniae Historica in Munich published in recent years editions by Frank-Michael Kaufmann of the “Buch’se Glosse”, the gloss created by Johann von Buch, for the Landrecht (2002) and the Lehnrecht (2006), and also the Kürzere Glosse (2009) and the Längere Glosse (2013). There is even an accompanying glossary [Glossar zum Buch’sen Glosse (3 vol., 2015)]. In 2014 appeared Maike Huneke’s book on Iurisprudentia romana-saxonica. Die Glosse zum Sachsenspiegel-Lehnrecht und die Anfänge deutscher Rechtswissenschaft (Wiesbaden 2014; MGH Schriften, 68). Huneke argued this gloss is the first scientific product of lawyers of Saxony concerning the law of their own region. Earlier Bernd Kannowski had already underlined in his study Die Umgestaltung des Sachsenspiegelrechts durch die Buch‘sche Glosse (Wiesbaden 2007; MGH Schriften, 56) the way the glosses change the nature of this work radically. It seems the team at Würzburg finds the closeness to regional law of the Sachsenspiegel – and also of the Schwabenspiegel for Swabia – a sign of closeness to legal practice. The Schwabenspiegel has been fitted into several categories. For the Fachtexte portal other late medieval Landrechte, regional law books, and Stadtrechte, municipal law books, have also been included in the legal section. For the fifteenth century there is for example a German version of the infamous Malleus maleficarum, the seminal work about supposed witches, Von den Unholden oder hexen (1489), and an imperial ordinance on the quality of wines (Ordnung unnd satzung über weynne, 1498). When you click on the link for the latter text you will see indeed two categories in the meta-data for this incunabula edition. The last incunabula edition of a legal text is most interesting, a book by Johannes Sleidanus about Plato’s view of (city) government, Eine kurtze summa oder Jnhalt der Platonischen Lere (1500). Among the legal books from the sixteenth century is a great diversity of ordinances, books on feudal law and other treatises. it might be worthwhile to look here at some books that fit into more than one category. There is a Rhetorik vnd Teutsch Formular In allen Gerichts Händlen by Ludwig Fruck from 1530 dealing with rhetorical devices and legal formulas for all kind of actions in courts. An earlier edition of this book with the title Teütsch Formular, wie mann in Gerichts-Sachen Brieffe unnd Instrument stellen mag (1529) definitively should have been listed also under jurisprudence. Having easy access at Fachtexte to a list with works on rhetoric makes it possible to check for such matters. With Johann Haselberg’s Der Vrspruncg gemeynner Berckrecht (1535) we encounter a very early treatise on mining law. Comparing categories of Fachtexte is a fruitful exercise. It leads also to some results which need further investigation or seem open to criticism. 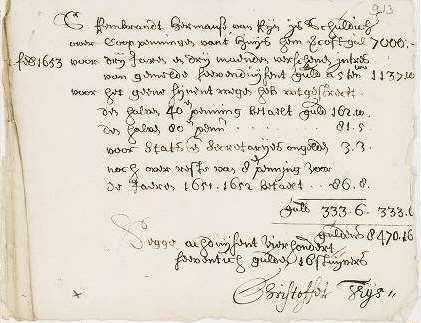 The group of legal books shows for 1552 a Kirchenordnung (ecclesiastical ordinance) by duke Johann Albrecht I of Mecklenburg tagged for both law and theology. A quick check in the theological corner shows a 1543 edition of a work by Andreas Osiander, Kirchenordnung. Wie es mit der Christlichen Lehre, heyligen Sakramenten und allerley andern Ceremonien (…). I will refrain from delving here into major publications by leading theologians in the German Reformation, but I am sure that Osiander’s work, first published in 1533, was adopted by the princes of several German regions. In a number of cases official publications such as city law books are listed at Fachtexte as works without an author, but an indication they were issued by on behalf of a particular authority is no luxury. With a book by Heinrich Knaust with a very particular title, Fewrzeugk gerichtlicher Hendel und Ordnung (Erfurt 1558) we finally see the kind of book I would expect here, a treatise aiming to distill information from medieval works by authors such as Henricus de Segusio (Hostiensis) (around 1200-1271), Johannes Andreae (around 1270-1348) and Nicolaus de Tudeschis (Panormitanus) (1386-1445) which he mentions in the long title of his work. The very first word of the title, Fewrzeugk or Fewerzeugk is intriguing. At the German dictionary portal Wörterbuchnetz it is explained under Feuerzeug, meaning a flintstone. In a recent study by Piotr Witmann, «Der da sein Practic auß Teutschen Tractaten will lernen». Rechtspraktiker in deutschsprachiger Praktikerliteratur des 16. Jahrhunderts (Frankfurt am Main, etc., 2015; Rechtshistorische Reihe, 458) Knaust and other sixteenth-century authors of practical legal works are discussed. Knaust appears in this section with more works aimed at legal practicioners. 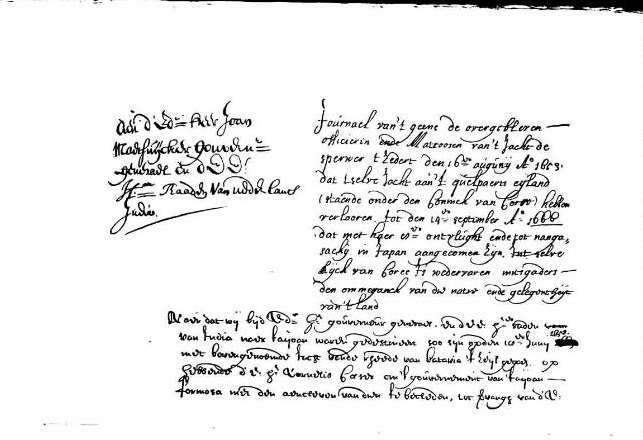 I could not help spotting that the digitized copy at Munich is part of the collection with the abbreviated siglum J. pract., “Jus practicum”. A different combination of categories is found in a work by Leonhard Fronsberger, his Kriegßbuch, present at Fachtexte with editions from 1571m 1573, 1578. Only the last edition is apart from the label Militär und Kampfkunst [Military and martial arts] labeled as a legal work. 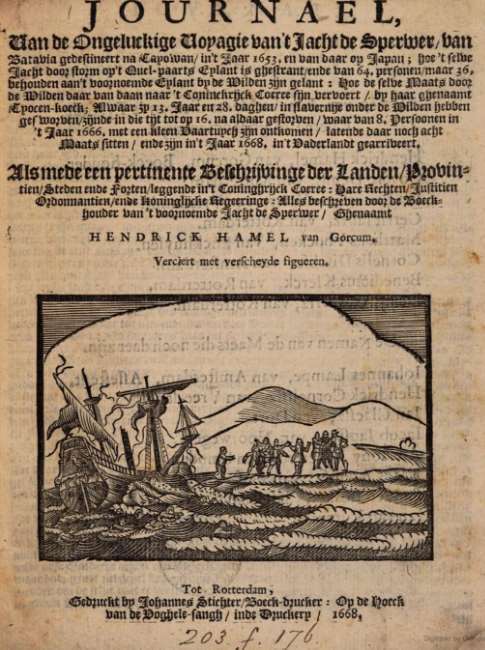 If you browse the edition 1571 you will see for yourself that the title starts emphatically with Vom kayserlichem Kriegsrechten. The first part of his work is concerned with legal matters, the organization of fighting units, military law and the authority of officers. I will not trouble you here with the question of correct labelling, but it is a matter of some concern indeed. Among the best known books for legal practitioners are the manuals for inquisitors and witch hunters. You will find here a number of them here, and also a translation of Jean Bodin’s De la demonomanie des sorciers (first edition, Paris 1580) into German by Johann Fischart, published in 1581 as De Daemonomania magorum : Vom Außgelassnen Wütigen Teuffelsheer der Besessenen. Here it has been overlooked that this 1581 edition already mentions Fischart as translator, and not only in the 1591 edition. It seems that some basic matters have not always been correctly recorded. However, the inclusion of multiple editions helps to correct such infelicities. It is tempting to show your more interesting books, but I would like you to find them yourself. I could not resist mentioning the Newe Bauordnung des Fürstenthumbs Würtemberg, a building ordinance issued in 1587 by the duke of Württemberg. It contains a number of articles you would expect in late nineteenth-century legislation to control building companies. The famous Reinheitsgebot, a Bavarian ordinance from 1516 on beer brewing, is not included in the section Weinbau und Bierbrauerei. However, you will encounter ordinances for apothecaries, for architects, forest ordinances, a treatise discussing the legal or illegal nature of alchemy, ordinances for millers and much more. I leave it to you to discover here works from the seventeenth century, where you will surely find results as interesting as those selected here from the sixteenth century. It is brave to attempt select works for more than thirty different disciplines, be they close to the medieval artes mechanicae or to modern occupational manuals, or closer to popular versions of standard works for fields such as law, medicine, theology and mathematics. One of the strengths of the Fachtexte portal is the combination of categories which helps you to look beyond the normal borders of a particular discipline. Widening your horizons is not a bad quality for any project! Fachtexte is part of a far more encompassing project in Würzburg, Kallimachos, which takes its name from one of the librarians of the ancient library of Alexandria. It brings together a number of linguistic projects, but also for example a project to study school plates, Schulwandbilder. It will be interesting to look into that project for legal iconography. However, I am happy to present here this project concerning applied sciences, because mirabile dictu you cannot find the Fachtexte project with the search function at the Kallimachos platform. One of the lessons in this post is the need to accept – once again, with relief or more neutral! – the fact you cannot find everything yourself. We should be thankful to those people who surf the oceans of online knowledge and share their discoveries as regularly as Klaus Graf! 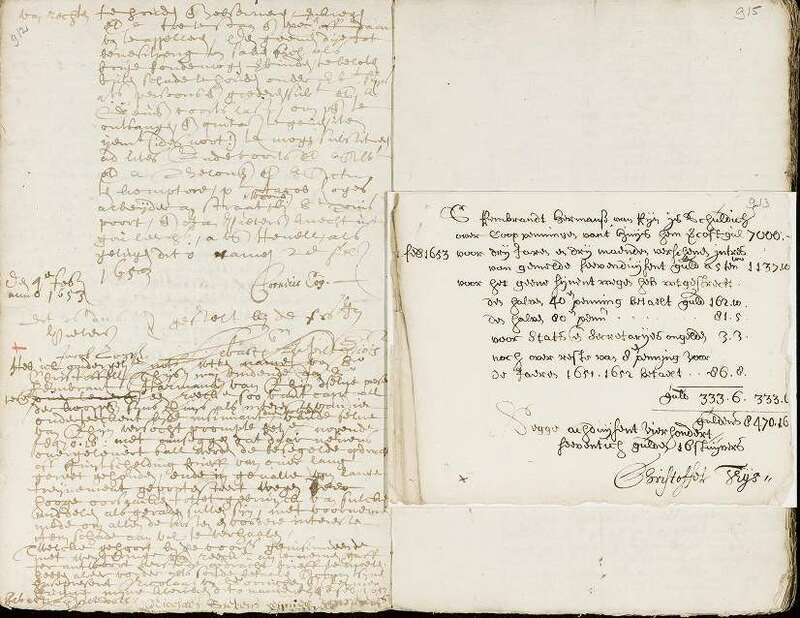 This entry was posted in Digital projects and tagged Digital humanities, Early Modern history, Early printed books, Germany, Law and Humanities, Legal history on March 21, 2018 by rechtsgeschiedenis. How did the interest in the history of Roman law start in Early Modern Europe? In the Middle Ages scholars who got access to the famous Codex Florentinus, a sixth-century manuscript with the text of Justinian’s Digest, for centuries hold at Pisa, did notice the Greek elements. We call the scholars who started to study Classical Antiquity and literature in its full depth and width humanists. The Renaissance in Italy spread quickly to other parts of Europe. In France Guillaume Budé (1468-1540) quickly became one of the foremost humanists. From May 3 to 5, 2018 an international congress will be held in Paris with the glorious title Les Noces de Philologie et de Guillaume Budé. L’œuvre de Guillaume Budé au prisme du savoir humaniste cinq siècles et demi après sa naissance. How did philology and Budé come together? In this post I will look at this upcoming scholarly event, and at Budé and his heritage. The sections of the congress in May 2018 will look at different themes. The first section focuses on Budé’s mastery of Greek and his contributions as a Hellenist. In the second section scholars will discuss how Budé read not only works by Classical authors, but also by his contemporaries. Legal humanism and politics are the central theme of the third section. Budé as an author and especially the creator of dictionaries comes into focus in the following section. The fifth section is devoted to a single book, De asse, the model monograph of Budé about Roman coins and much more. A section concerning the reception of his works and Budé’s afterlife and reputation will close the congress. In the section on legal humanism scholars will tackle various subjects and questions. Patrick Arabeyre will discuss to what extent more traditional lawyers in the first half of the sixteenth century were influenced by legal humanists and their books in their own works. In a way this is a paper about the importance of the mos gallicus, the nickname for the new approach to law associated with French humanists. It is good to keep in mind that some Italian lawyers, in particular Andrea Alciato, taught also in France. The Annotationes in XXIV libros Pandectarum and the traces of Budé’s developing views are the subject of a paper by Jean Céard. Decades ago Douglas Osler already fulminated against those scholars who without any reflection took any nearby copy of this work as their only source, see his articles ‘Budeaus and Roman law’, Ius Commune 13 (1985) 195-212, and ‘Turning the title page’, Rechtshistorisches Journal 6 (1987) 173-182. Michel-Dominique Couzinet will look at philosophy and history in the Institution d’un prince, his only work in French. Guillaume Budé and Thomas More’s Utopia are the theme of a paper by Michel Magnien. This section just happens to be the only one with exclusively French speakers. A quick look at Budé – or Budaeus, the latinized form of his name – learns you that he was indeed a towering figure. He translated Plutarch from the Greek. His Commentarii linguae Graecae led the foundation for Estienne’s Thesaurus linguae Graecae, the first major Greek dictionary. Budé was a secretary of king Louis XII, and was later close to François I for whom he created a library at Fontainebleau with a collection of Greek manuscripts that would later become the core of the modern Bibliothèque nationale de France. In 1530 he was one of the founders of the Collège de France, first named Collège Royal. As a royal officer Budé was chosen in 1522 to serve a year as prevôt des marchands in Paris, a function in which he had to deal with commerce in Paris and the powerful Parisian merchants. His study of Roman coinage in De Asse was not only a vehicle for showing his skills as a scholar of ancient numismatics, but in this work he wanted to gain and show insight in Roman culture and society. A French summarized translation appeared in 1523 [Sommaire ou epitome du livre de asse (Paris: Galliot du Pré, 1522 (=1523))]. Budé would not have been a true humanist without an extensive correspondence with other humanists from Étienne Dolet and François Rabelais to Desiderius Erasmus and Thomas More. A society active in France for the promotion of editions and translations of Classical texts has the appropriate name Association Guillaume Budé. You can find its journal, the Bulletin de l’Association Guillaume Budé, online at the Persée portal, from its start in 1923 up to 2015. The Institute d’Histoire et Recherche des Texts (IRHT) in Paris and Orléans has created a database concerning the transmission of ancient and medieval texts with an acronym, Base Unique de Documentation Encyclopédique, BUDE, which you can access after registration. It is astonishing Budé figures with only two editions of his works, but luckily two 1543 editions of the Annotationes are among the books digitized in Les Bibliothèques Virtuelles des Humanistes (Université de Tours), a project which figured here in 2013. Speaking of digital libraries, the Universal Short Title Catalogue (USTC, University of St. Andrews) will show more than 300 titles of works and editions by Budé. Increasingly the USTC contains links to digitized versions of sixteenth and seventeenth-century books. In the database BP16: Bibliographie des éditions parisiennes du 16e siècle of the BnF, based on the bibliographical work of Philippe Renouard and Brigitte Moreau, Budé figures with 65 works printed in Paris in the sixteenth century, i.e. editions, single publication and works of authors with whom he was associated. Humanists often wrote prologues, poems and recommendations which authors included in their publications. As for Budé and his work on the Justinian Digest I would not dare to say here anything without first at least mentioning the last study of the late Hans Erich Troje, “Crisis digestorum”. Studien zur historia pandectarum (Frankfurt am Main 2011). Troje died on October 11, 2017. Since his 1971 book Graeca leguntur Troje patiently studied the way humanist scholars looked at the sources of Roman law. The ways the Digest was viewed and studied developed in an intricate interplay of preparations for new editions of the text in the Codex Florentinus, a most complex manuscript, and reading and valuing both published editions and commentaries by leading humanists. Access to the venerable manuscript in Florence and to Angelo Poliziano’s notes about it proved crucial. A few years ago I was happy to summarize here the excellent introduction to the Pandette manuscript and its history by Davide Baldi who shows you nicely the difficulties facing you when you want approach and understand this precious manuscript. It would go beyond the scope of this post to look systematically at recent publications about Budé, but I cannot resist mentioning here an edition of some of his letters in La correspondance de Guillaume Budé et Juan Luis Vives, Gilbert Tournoy (ed.) (Leuven 2015). Marie-Madeleine de La Garanderie and Luigi-Alberto Sanchi published a volume with articles under the title Guillaume Budé, philosophe de la culture (Paris 2010). The title and contents show nicely the many ways one can view Budé and the high esteem he still enjoys. 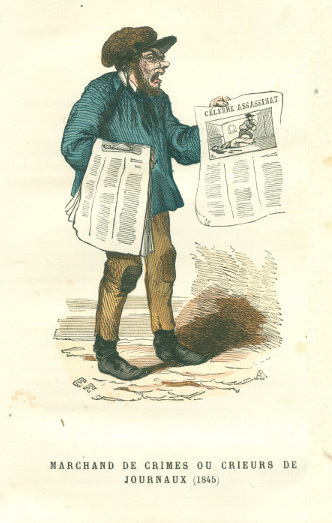 The Bulletin de l’Association Guillaume Budé is a sure port of call to find new studies, notes about sources and reviews of recent publications. In many cases you will Budé encounter anyway when you study the spread of humanism and its very particular offspring, legal humanism. His broad interests, the depth of his learning and the size of his network are probably too daunting for scholars to embark on a full biography of this remarkable figure. If anyone nowadays is able to take up this challenge you will soon think of Anthony Grafton. He showed more than a passing interest for Budé in his study Commerce with the Classics: Ancient Books and Renaissance Readers (Ann Arbor, MI, 1997). After his books on Scaliger and Casaubon Budé would seem an obvious choice for a sequel. Hopefully the conference in Paris will bring new and interesting views, and perhaps the spur for a much needed monograph on Budaeus. This entry was posted in Scholars and tagged Ancient law, Early Modern history, France, Legal history, Legal humanism, Rare books, Roman law on March 6, 2018 by rechtsgeschiedenis.